Check out my first book of poetry! Check this out! 10 celebrity families that do homeschooling. My name is Toni McGuire, CT. I'm a home schooling mom of over 6 years and a certified tutor and have been teaching privately for over 28 years. 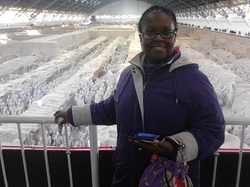 We are in China and I'm super excited to share my trials and successes in homeschooling and life in a foreign country. Learning Chinese is just one of the new things we are doing it is lots of fun and hard work. Here is the website I used while in the states: http://www.chinese-tools.com/ Here in China I have tutors for myself and my son to make sure we learn how to speak and communicate correctly. As a tutor, I work with elementary, and middle school aged children. Working on getting their spoken/oral English much better. This is the most helpful site for homeschooling high school I have found!